The fake “stuff” I’m referring to in the headline includes newspaper articles, sports “trading cards,” iPhone conversations, Facebook pages etc. These can be used for conversation practice, to create reports on historical figures (or on natural disasters or on just about anything) and for numerous other learning activities. Boy, this could be a great tool to help English Language Learner students practice writing and reading dialogue — FakeiPhoneText lets you create a text conversation that looks like the real thing and give you a unique url address of your creation. Plus, no registration is required. Obviously, this kind of conversation can also be created just as easily on paper. And, even with this app, a draft could be written on paper, and then could be typed on Word so students can use a spell and grammar check. But I’m sure they would love to be able to do a final version on something like this, which could then be posted on a student/teacher blog or website. Here’s another version. I Fake Text Message is a simple tool to create…fake text messages. ClassTools has created a similar site for text messages, though theirs can be embedded. 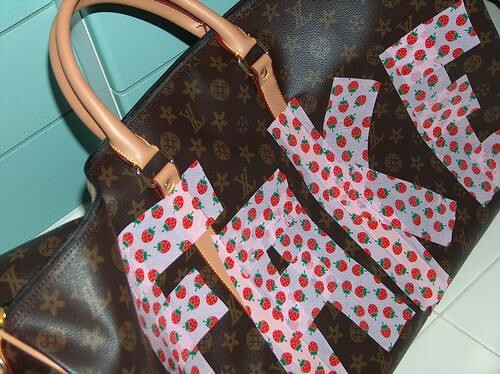 There are several other sites that let you create multiple fake items, including trading cards, magazine cards, and newspaper articles. My favorite is Big Huge Labs, but Image Chef and Fodey are also good. I Fake Siri lets you create a fake conversation — in text — with the new iPhone voice feature Siri. You can then link to, or embed, your creation. It’s just another fun opportunity for ELL’s to practice writing, reading, and speaking. Simitator is another one I’m adding to this list. It lets you create “fake” Facebook pages, Twitter threads and more. Unfortunately, though, you have to download your creation — it won’t let you link to it (most of the other tools here let you save them as Web pages. Great list. Thank you for the plug. Hi Larry, Interesting site and just found it today as I was searching for help in what I want to do in my classroom. I have disk space on our schools server that is locked down so students can only go to this directory and can be accessed only from within the schools network. I’ m looking for a way to have the students create their own blogs and practice in our classroom. Most school content filters let Edublogs through — that won’t work? Thanks for the update! I’ve removed them from the list. Yup, you’re right. It’s back online, and I’ve put it back on the list.